The TechGripper by Techmount is the most secure device ever developed to mount your your personal device to your motorcycle, ATV, UTV, snowmobile or other power sport vehicle. The grip range of the TechGripper is 1.9” to 4.2” and will hold cellphones (including the Samsung Note), MP3 players and other personal devices. 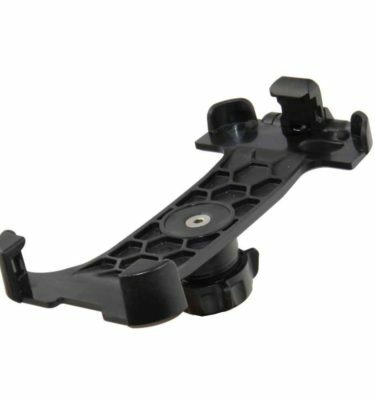 You’ve already made a considerable investment in your cell phone and/or GPS, so why would you choose some cheap plastic cradle to mount it to your motorcycle? 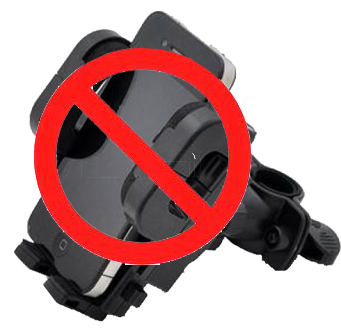 Each day we hear horror stories from people just like you who have damaged or lost their cell phone or GPS using one of those plastic mounting devices or cradles to attach your device to. Because of this we have developed what is recognized as the best solution in the powersport industry, the TechGripper by Techmount. 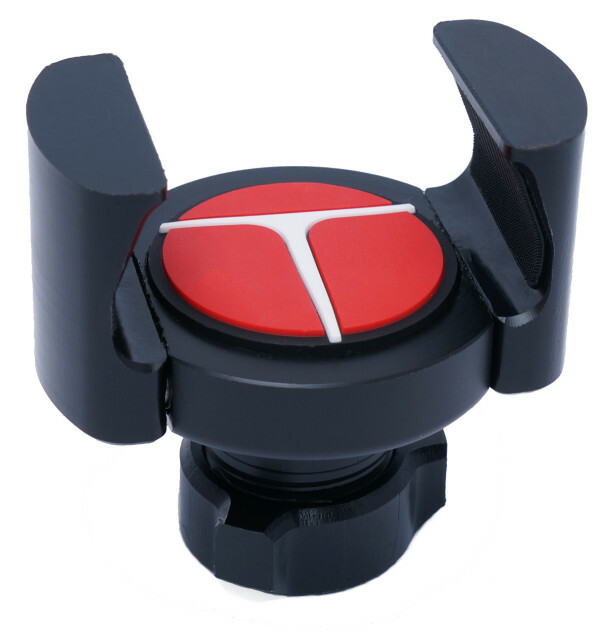 The body of the TechGripper is injection molded using Dupont Delrin Acetel resin thermoplastic and your cellphone is held in securely in place with polyurethane fabric to prevent scratching of your phone, and four stainless steel springs with a 18-pound grip. The grip range of the TechGripper is 1.9” to 4.2” and will hold cellphones (including the Samsung Note), GPS devices, MP3 players, GPS devices and other personal devices. The TechGripper will interface with all of our Techmount GEN4 mounting systems, enabling you to mount your cellphone to your motorcycle, ATV, UTV, snowmobile or any other powersport vehicle. 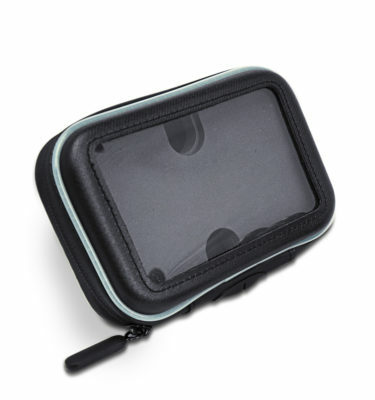 Your TechGripper is secure for life as it is UV Proof, heat resistant, waterproof and is the only motorcycle cellphone mounting device on the market to come with a lifetime warranty! 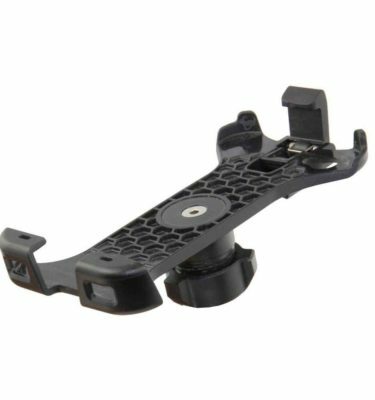 For a Mount Look Below! 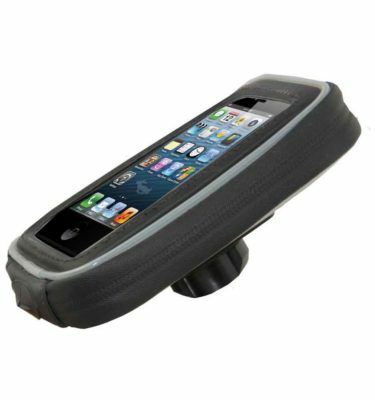 This is just an accessory and is perfect for people who already have a mount and want to hook up a different device. But if you don't have a mount already for your bike please use the filter below to find the best one for your bike.